There are many passages that refute annihilationism. For illustration purposes, we will select only one primary passage—Matthew 25:46: "Then they will go away to eternal punishment, but the righteous to eternal life." Moreover, one cannot deny that for one who is suffering excruciating pain, the extinction of his or her consciousness would actually be a blessing—not a punishment (cf. Luke 23:30-31; Revelation 9:6). 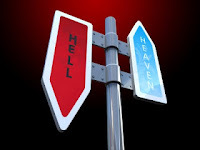 Any honest seeker after truth must admit that one cannot define "eternal punishment" as an extinction of consciousness.